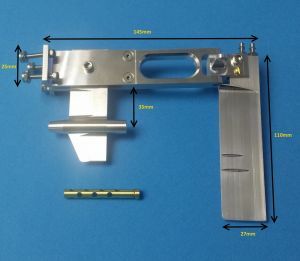 SpeedMaster small inline skeg strut and dual pickup rudder assembly. 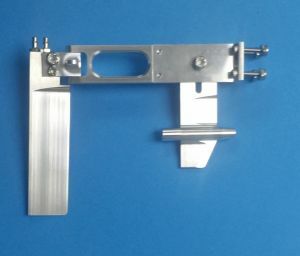 Cnc Machine cut in the USA from High Quality Aluminum. Straight blade rudder with dual water pickups and strut for 3/16" propeller shaft. We estimate this will work with 30"(750mm) to 40"(1000mm) catamaran hulls. Requires only 4 mounting holes for quick and east mounting. -Rudder arm on both left and right side of blade. Includes everything in picture, plus brass bushing. Cable with 3/16" propeller shaft.